There is no cuter copilot than a canine — and for most people, no more amenable friend. After all, is there any person on the planet who thinks a road trip to the city dump is an adventure, or that breaking down cardboard boxes is the best thing ever? Doing activities with your dog not only strengthens your bond but also provides physical and mental stimulation, which promotes overall good health. 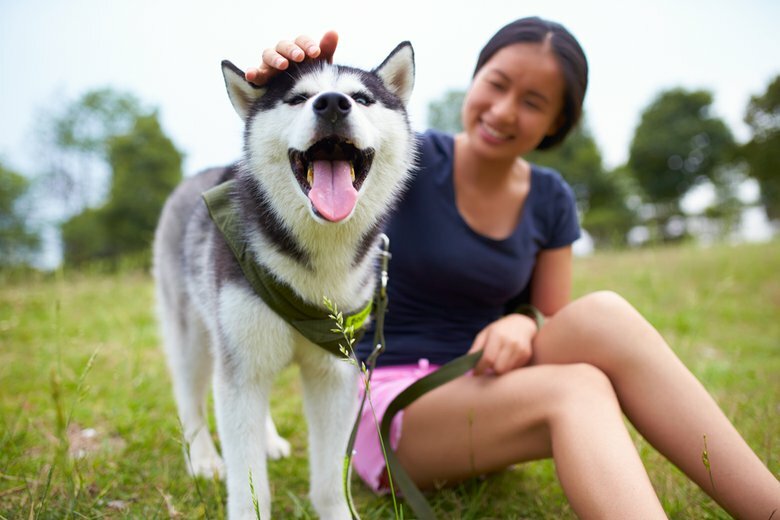 Whether you have a new puppy, are pet sitting or just want to provide new entertainment for your dog, there are plenty of activities you can do to keep that tail wagging. 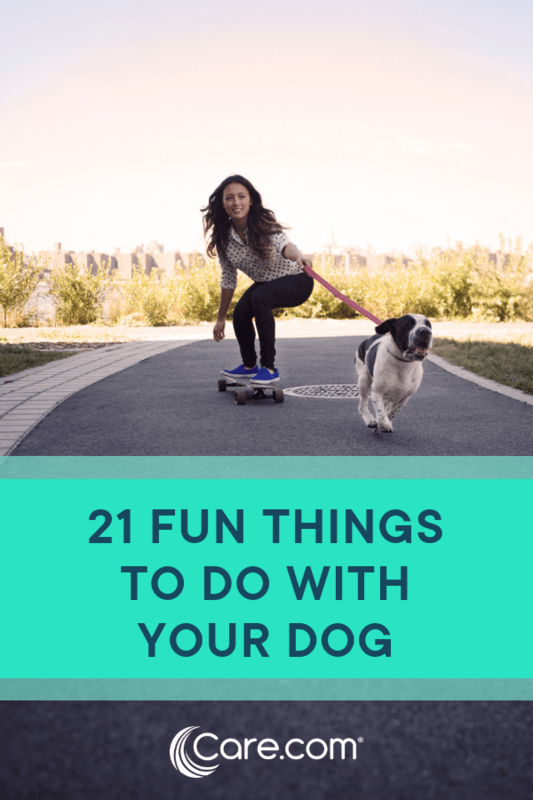 To aid you in making memories (and treasured Instagram moments) that will last to infinity and beyond, we created this list of 21 fun things to do with your dog, based on their energy level. 1. Go on a walking tour of your city. Soak up your city just like a tourist would but with a much better sense of direction. If you plan your route, you can make pit-stops at all of your city’s pet-friendly haunts for treats and attention. All the tourists will be so jealous. 2. Spend a day swimming and exploring a beach or lake. 3. Go on a bike ride together. It’s harder than you might think to ride a bike while your dog is on a leash, so get a little practice in before hitting the bike trail. Some dogs are more bike-basket than ride-beside, so it’s wise to consider your dog’s physical fitness and start out slow. Once you both get the knack for it, you’ll be on a roll. 4. Run or jog together. Nothing tires out a pup with lots of energy like a long run. Some dogs are better suited for longer distances than others, so consider your pup’s health, the temperature outside, and always bring fuel, like treats and water. If you have a real runner on your hands — as in, a dog that’s prone to running off — it’s key to get a leash specially made for running. If this becomes a regular activity for you both, see if you can consistently beat your previous time. 5. Visit an off-leash dog park where your dog can romp with other dogs. Impromptu parties are the best, especially the canine kind. Find your nearest off-leash dog park and let your pup do some mingling. He or she just might turn out to be the life of the party. 6. Make a puzzle for your dog to solve. Dogs with lots of energy need diversions. 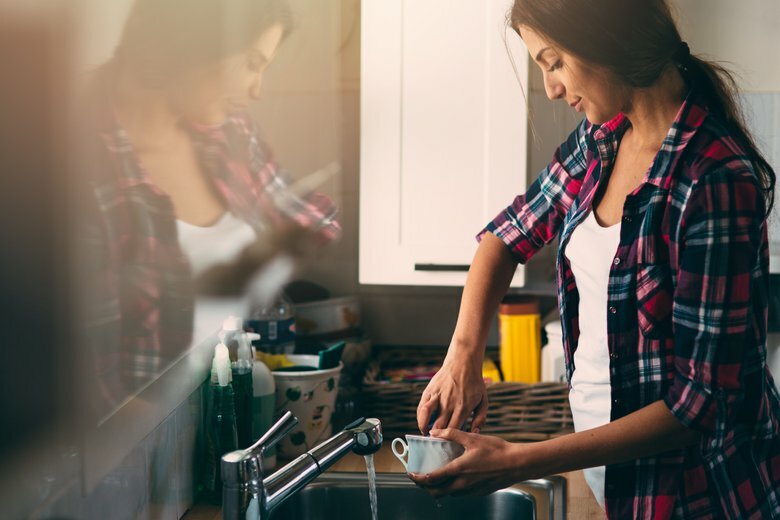 The internet overflows with brain teasers you can make with items in your very own home, from materials you’d typically throw away. A boredom-buster game with old tennis balls and treats or a tug toy fashioned out of an old T-shirt could be just the challenge your dog craves. So get your craft on! 7. Take an agility or obedience training class. Dogs with a wild streak tend to need focus, so choose a goal to work toward. Agility or obedience training will give them a chance to show their mad skills (if they have any!) But at the very least, it’ll help make your owner-doggy bond even stronger. A doggy trophy at the end of your semester would be nice touch, and even nicer Instagram post! 8. Stock up on toys together at your favorite pet-friendly store. Attention shoppers: It’s time to let your dog steer the shopping cart! Surprises can be overrated, so take your pal to the store so he or she can do the choosing. Warning: Dogs can’t read price tags. 9. Take your dog on a boat ride. Get ready to make a splash — just make sure you have the all-important life vest with you when you do, as swimming doesn’t come naturally to all dogs. Some dogs were bred specifically because they make great first mates. 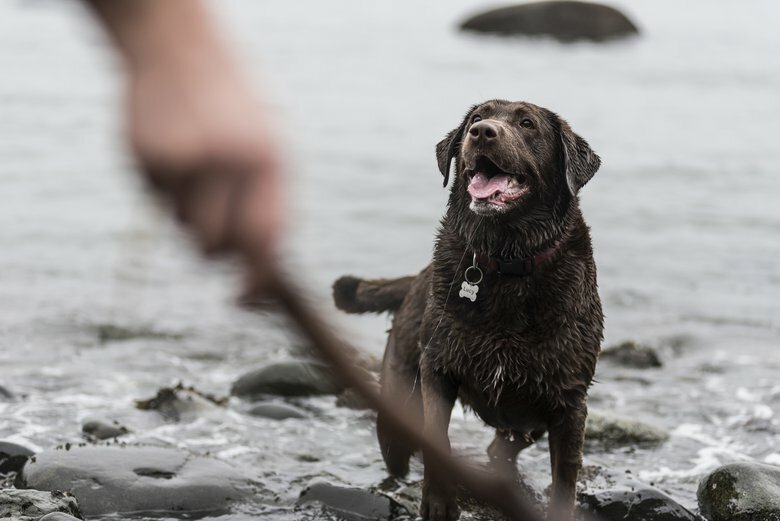 So, why not see if your pup has the chops for sea life? Easing your dog into activities like these — and having a cool friend with a nice boat — is recommended. 10. Teach your dog a new trick. Old, young, no matter the age, dogs like to learn new things, so give them a challenge by teaching them awesome new ways to impress you (and your friends). Tap into YouTube, grab some treats and start practicing some tricks. Your pup’s stunts will be the talk of your next house party. 11. Play in a sprinkler, leaves or snow. No matter what season you’re in, there’s always fun just outside your door. Run through a sprinkler, play fetch with snowballs during a snowstorm or jump in a pile of leaves. (Don’t forget to check for ticks after!) Sometimes the simple pleasures in life make the best memories. 12. Enjoy a stay at a pet-friendly hotel or bed and breakfast. Dogs are welcomed guests at some of the most exciting accommodations across the U.S. So if your pup travels well, plan a mini vacay for the two of you. Splurge on some of the amenities — many places offer pet pampering packages — or just bring your favorites treats from home. Both of you will enjoy the adventure involved in exploring somewhere new. 13. Throw a puppy party. You have friends with dogs on speed dial, and now’s the time to invite them over. Whether it’s your dog’s birthday or National Dog Day (Aug. 26), set a date and go all-out. 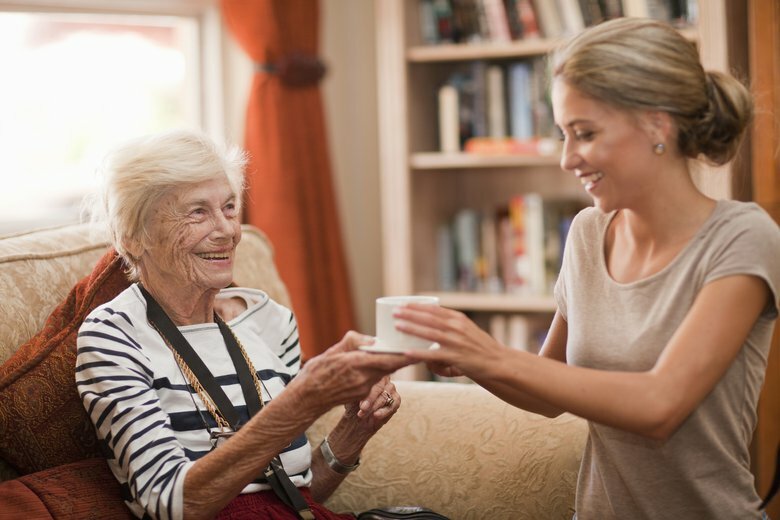 Check out these Instagram-worthy decor and activity ideas. 14. Find a unique spot for an Instagram photoshoot. A graffitied wall, your favorite city fountain, a famous statue or a quiet park bench — pose your pooch at a spot with a little character, and you’re bound to get all the Instagram hearts. Don’t forget to reward your subject with treats! Reserve the most comfy spot on the couch for at least three hours. Watch a canine-friendly flick together — like “101 Dalmatians,” “Best in Show” or “Marley & Me” — and snuggle up for a nap. We can’t think of anything more dreamy. 16. Take your dog to work. While the official day to bring your canine to the office is June 24, if you work in a pet-friendly environment, why not make it a regular occurrence? 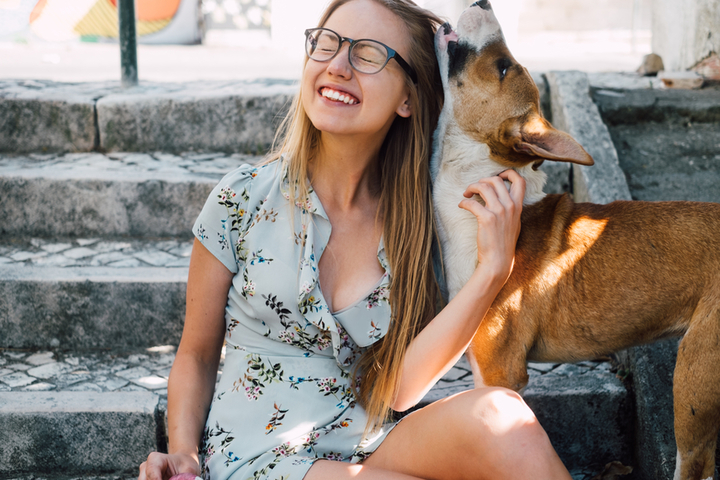 Medium-to-low-energy dogs can be good at helping to ease office stress, and there’s nothing more soothing than taking a coffee break with your cutie. 17. Give your dog a mani-pedi. You can leave clipping to a professional, but nail color? That’s all you! Pet-friendly nail polish comes in a wide variety of colors — in a polish pen and traditional bottle-and-brush form. So why not give your dog a pop of color on those claws? The Instagram paw-sibilities are endless. 18. Book a “doga” session. Just breathe. A dog-friendly yoga session will help with that and more (like stretching) and, most importantly, bonding with your pooch. Doing downward dog with your best friend by your side has to be on every dog-lover’s bucket list. 19. Sing to your dog. Can you think of a better audience? No one loves the sound of your voice more! Go a capella or call on Alexa for some background music. You’re guaranteed a standing ovation or at the very least a paw to the mouth, willing you to stop. 20. Practice patience by balancing treats on your pet's nose. The hashtag #StuffOnMyDog yields a treasure trove of adorable pics on Instagram of dogs carrying lightweight amounts of cuteness on their heads and snouts. If you want to get in the game, start small with treats and get ready for some serious smiles. 21. Snag a puppuccino at Starbucks. While it’s not on the menu, every coffee-loving dog person has a friend in Starbucks who serves up puppuccinos for canines if you ask. (It’s a simple concoction: whipped cream in a small cup.) As long as your dog is dairy-tolerant, you’ve found yourself a new coffee run companion. Too cute! I would definitely love to do all the activities with my doggo but she is too hyper! If she sees another human (let alone another dog!) she'll be licking them to death in no time. Great ideas, I love it! This is a really cute list of activities! Hope to find one listed on Care.com for activities to do with your kitty cat toO!